WASHINGTON, Pa. – Pennsylvania's famous five-and-dime retailer F.W. Woolworth single-handedly defined the decor of the American Christmas tree on a lark. He purchased a $25 box of German blown-glass ornaments in the 1880s to see if they would sell in one of his stores, only to witness them disappear in two days. He went on to make a substantial fortune of $25 million by importing and selling the ornaments produced in Lauscha, Germany, inexpensively and mostly one at a time, according to the 2004 book, "Pictorial Guide to Christmas Ornaments & Collectibles." 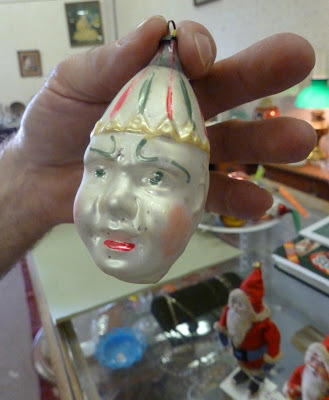 "Then after World War II no one wanted to buy from Germany," said John Taylor, a Peters Township, Pa., antiques dealer of collectible Christmas ornaments. Today, glass ornaments made in Germany in the 1920s and 1930s are highly collectible, and sell for as much $500 apiece. Taylor has one such hand-painted decoration shaped like a clown selling for $120 at Black Rose Antiques & Collectibles in Washington Crown Center mall in North Franklin Township. "They are so expensive because they are so fragile," Taylor said. Buyers at auctions have been known to pay $20, he said, for one of the ornaments, even when half of it is broken. "I'm seeing some crazy things." These ornaments are rare, "hot items" for a number of reasons, said Inez Gilotty, owner of Main Street Antiques in Monongahela. "So many get broken. Collectors are picking them up," she said, adding that many relatives keep them when estates are being settled. "It's very slim pickings. We're not even finding them in houses now," Gilotty said. Those who are now dying in their 70s and 80s, she said, leave behind Christmas decorations they collected in the 1950s, such things as large, red, plastic bells with lights and aluminum Christmas trees. And those items also are highly collectible. "They are looking for something like Grandma had," said another Peters Township dealer, Jim Kairys, who has been selling Christmas ornaments at Canonsburg Antique Mall. "Christmas sells year-round," Taylor added. America really has the town of Lauscha to thank for antique glass ornaments, Kairys said, because it once was known as the glass Christmas ornament "world capital." It produced 95 percent of these decorations sold around the globe until 1940, when the war decimated much of Germany. The town's glassmakers originally made kugels, or large glass ball window decorations, witch balls and garden panoramas. Someone eventually suggested they would look good, much smaller, hanging on candlelit Christmas trees, Kairys said, drawing reference from "Pictorial Guide to Christmas Ornaments & Collectibles." The first known order for such Christmas tree kugels arrived in 1848. "A lot of this stuff had mercury in it to make colored glass," Taylor said. "The coloring is on the inside. Just don't drink from them." DONORA, Pa. – Nothing seemed out of the ordinary in smoggy Donora, Pa., the week before deadly air pollution would kill 19 people there in one day in late October 1948, and lead to more deaths in the coming days. As Halloween approached Donora police Chief Pykosh issued an angry rant in the local newspaper after pranksters had scattered coal furnace ashes about town. "Fun is fun, but when it becomes a downright nuisance, then it's time to get tough," Pykosh stated in The Herald-American before announcing the borough's Halloween parade would be postponed until Nov. 1 if the weather left it unfit for the march. That Friday, Oct. 29, the newspaper appeared to have made no mention of the putrid air that had already begun to settle over the town along the Monongahela River Valley about 30 miles south of Pittsburgh. The Halloween parade went off as planned that weekend, even though fewer participants showed up because of the smoggy weather. The dead were lining up by the end of the day Saturday, and two locals hospitals were overflowing with patients complaining about pneumonia or heart-related symptoms, the newspaper finally reported two days later. On Monday, the newspaper announced borough council had called an emergency meeting the previous evening to call for an immediate survey of the problem by the U.S. Public Heath Service. A panic had set in that Sunday, when a light rain had begun to clear the air. However, another fog began to roll in while the borough council meeting was underway, prompting fears it "would cause additional suffering," the newspaper article indicated. Many people were already blaming the deadly air on the U.S. Steel zinc plant hugging the Mon River. Charles Stacey, president of the local board of health, opened the council meeting with a strong indictment on the town's zinc and steel mills. Stacey complained about reports the company had not modernized its mills since 1915, and he announced "it should go out of business" if the allegations were true. Meanwhile local physician William Rongaus appeared at the meeting showing signs of fatigue and stress, and he "bluntly described the deaths of the 19 persons as murder." "In my opinion," Dr. Rongaus declared. "I believe something should be done about smoke coming from the mills. The fumes are killers. They are silent killers." 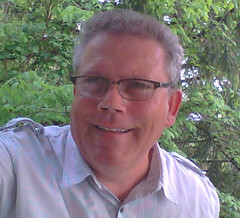 Pittsburgh's health director, I. 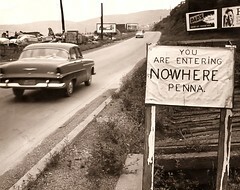 Hope Alexander, was by then warning of a pneumonia epidemic in Donora as a result of the smog. "Right now the air in Donora has a heavy concentration of sulphuric acid plus some of the volatile compounds of zinc," Alexander stated in a Nov. 1, 1948, newspaper report by the United Press. 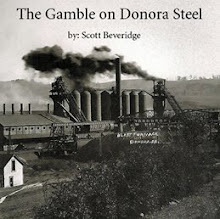 "The smoke from the zinc works at Donora is of a very toxic variety," he further warned borough residents. The deadly smog story, though, had by the following Wednesday dropped off the local newspaper's front page above the fold - even though it had already made national headlines. Elsewhere the newspaper reported funeral rites would be held that day for three smog victims. Meanwhile, it also reported a North Carolina resort had offered an all-expense paid escape from Donora to fresh Southern air to 50 Donora residents. Ironically, it only took the U.S. Health Department just five days from that deadly Saturday to declare the mills hadn't contributed to tragedy. "There was no evidence found that will incriminate any one particular plant as being the source of the atmospheric contaminant over the weekend," Dr. Duncan W. Holaday of the health service's industrial hygiene division announced at a news conference in the borough on Nov. 4, 1948. 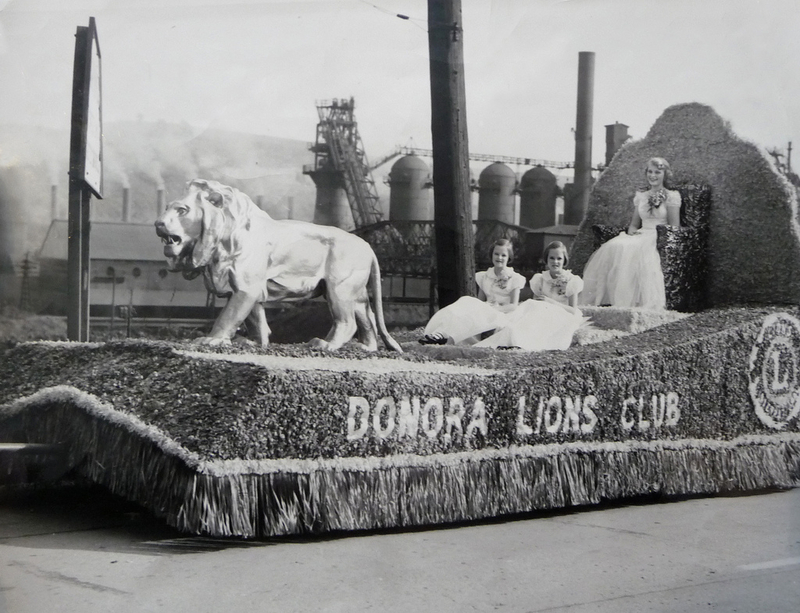 Holaday said there was no one in town that weekend to sample the air when the smog was at its worst, and he also declared the air safe to breath after the resumption of mill production, the Donora newspaper reported. Of course, we know more than five decades later that either Holaday had been misled or he was participating in a cover-up in the days after what became the nation's deadliest pollution event. A 2008 review of federal court archives by the Observer-Reporter newspaper in Washington, Pa., uncovered evidence suggesting the company had taken air samples that weekend. However, the results of the internal testing of that air were never made public. BOZEMAN, Mt. – A hangman's noose is the feature attraction inside a Montana museum devoted to America's Western expansion. 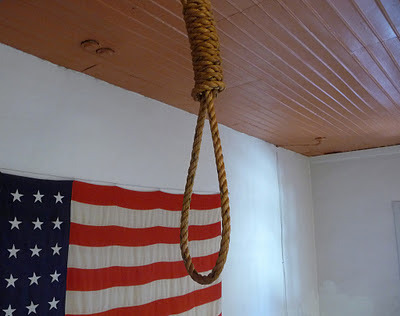 And this gallows executed just one man before the Gallatin County Jail was vacated and converted into the Pioneer Museum in Bozeman by the county's historical society, said Ann Butterfield, its assistant director. "A hanging did take place here," Butterfield said, while leading a September 2010 tour of the redbrick, Bastille-like structure built in 1911. While the prison was designed to be the best jail in the West, it took only 10 days after it opened for six prisoners to escape through an underground tunnel once used to transport prisoners to the courthouse, according to the book, "Bozeman and the Gallatin Valley: A History," by Phyllis Smith. The escapees reportedly fled town on a train, and four were captured and returned to their cells. But the death of the banjo-playing murder convict Seth Orrin Danner is probably the most famous story haunting this museum at 317 W. Main St.
Danner met his death here at 8 a.m. July 18, 1924, after his wife, Iva, led investigators to the victims' shallow grave. She told authorities her husband had killed John Sprouse while the two fished, and, when he returned to camp, he strangled the man's wife, Florence, after crushing her skull with an axe, the Bozeman Daily Chronicle reported in February. The newspaper, which publishes some of the funniest police reports, went on to report that Iva Danner, while on her deathbed seven decades later, confessed to shooting and killing the pregnant Florence Sprouse after the woman caught her husband and Iva having an affair. The scorned woman had gone after Iva Danner after killing her husband. So it's quite possible an innocent man was hanged in the prison, which mostly served as a drunk tank until a new one was built in 1982, Butterfield said. The historical society saved a handful of the jail cells for visitors to see and experience their cramped conditions when the prison housed 40 men and eight women. One prisoner who passed through the place scrawled "I love you" on a floor, while others drew images of marijuana leaves on the walls. Another wrote, "I've been framed," inside a cell. The exhibits here include an assortment of ladies' hats, a 16-pound ball and chain, rifles and even the Model A Ford driven by a local funeral director, Howard Nelson, who bought the car new and never parked it until just before his death in 1988, Butterfield said. This is a destination not to be missed by travelers who pull into this part of Big Sky Country. WEBSTER, Pa. – The biggest surprise find when I purchased my century-old, 10-room house was that the former owner was willing to accept a $4,000 sale price. People have always been shocked to hear that a house would sell so cheaply, and then some would follow that up with a question about what antiques came with the place in 1987. The fixer-upper was somewhat rundown, but there was little else inside but three decades of dust crusting the floors and baseboards. The previous owner, who was well into his 80s, had sold the contents at auction prior to listing the property in Webster, Pa., with a Realtor. The only real treasure discovered was a newspaper spreadsheet from a Sunday, Sept. 10, 1933, publication of The American Weekly, which boasted the greatest circulation in the world. It was found, along with other pages from 1933 newspapers, underneath crumbling asphalt linoleum that I was throwing away from a bedroom. The back page boasts the ad, above, for Pabst Blue Ribbon beer. It seemed odd to me because the ad features a well-dressed couple relaxing at a restaurant during the heart of the Great Depression, when money was scarce. They were staged being served by a smiling black waiter, an obvious statement on racial inequality of the time. It also made me wonder about how the steel mill boss who owned the house could have afforded new floor covering in a depression, while also adding an adjoining room to his house. The remodel was to create a second-floor apartment for his son, who had taken a wife. Meanwhile, the front page of the newspaper was devoted to new publications of the Metropolitan Museum of Art in New York about the pastimes of the ancient Egyptians. The newspaper was distributed coast to coast in all Hearst Samily newspapers. Inside were printed adds for Royal Baking Powder, A-1 Sauce, Quick Elastic Starch, Pyrex nursing bottles, Lacross Nail Polish and Log Cabin Syrup. The MOMA book were even made possible by a donation from Charlotte M. Tytus of Asheville, NC, in memory of her son. So unlike the mental pictures we have today of the poverty of that era, some people in the United States were still spending money for newspapers, books and household supplies while others were suffering greatly. If you have the time check out this new art exhibit before it moves on Dec. 8 from California University of Pennsylvania. It's well done. Click here to read the story. That link will disappear next month. Alex Antanovich Jr. is shown at a World War II unit reunion decades after his incredible wartime survival story. Allied air assaults over France and Germany during World War II were seeing their greatest successes in the last week of May 1944. The daylight bombing raids were targeting strategic German-held railroads to cut off enemy supply lines, while others were pounding the French coast to drive back enemy forces. Nearly one thousand heavy bombers were flying the missions that also were aimed at airfields and chemical and fuel stations. 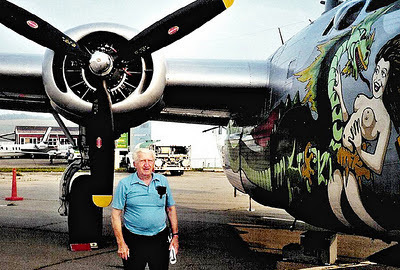 The B-24 Liberator, LONI, carrying a crew of nine, however, did not fare so well. It crashed on May 30, 1944, near Rheine, Germany, after three of its four engines failed and the entire crew had bailed from the plane. Eight crew members were captured and held by the Nazis as prisoners of war. Meanwhile, U. S. Army Air Force Sergeant Alex Antanovich Jr. of Cokeburg, Pa., evaded capture. He would be led by civilians to members of the antiwar movement in Holland, where he was fed, clothed, and sheltered for the next ten months. “I was in constant fear,” said Antanovich, recalling his story that had the makings of a suspenseful war novel. His plane had taken off that day at 6:53 a.m. from Mendlesham, England, carrying fifteen, five hundred pound bombs. More than eighteen thousand B-24s, their wingspans spreading a 110 feet wide, had been produced in Detroit, Michigan, by Consolidated Aircraft Corporation for the war effort. They created the largest air fleet of its kind at the time. Antanovich, who was then 21 years old, had been trained to fire all of the plane’s ten machine guns. World War II bombing crews faced some of the worst dangers in combat. “They were shooting at us,” he said, while discussing his military experiences when he was eighty-two years old. 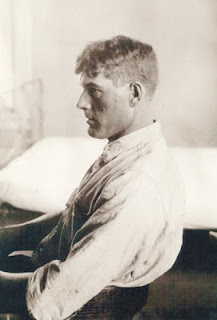 He had received his training at Blythe Army Air Base in California. His crew used LONI to fly to England, following a route over Florida, South America, Africa, and Wales. The crew called itself the League of Nations Inc. because its members all hailed from different ethnic backgrounds. They gave the plane its identity by combining the first letters of the crew’s nickname. Antanovich entertained himself on the flights to England by watching the lights in the cities at night. Little else was on his mind. He had only been in England for a month and on four previous missions to Germany when his plane crashed. It dipped from formation with two of its engines smoking before it reached its primary target. Other members of the 34th Bombing Group flying in nearby planes then lost sight of LONI; no one reported seeing any parachutes. The sixty-six-foot-long plane’s legacy was cut short before an artist had the time to paint its name on its side. Antanovich was afraid to jump from the plane, having never done so before during his military training. Being the last one left in the tail of the plane, Antanovich looked over the bomb bay to see what the pilot and copilot were doing, hoping they were gaining control of the flight. The copilot was readying for his jump, and Antanovich knew he had no choice but to do the same thing. He believed in God, but was not an especially religious soldier. Over the course of the next several days, nearly everything Antanovich did went against what he was taught to do in the event he became missing in action. When he regained his bearings on the ground, he realized he had become separated from his crew. He had been told to run in such a situation, and to keep on the move for twenty-four hours. He came upon a house, and went in another direction, only to spot another. At that point, he went into the thicket and decided to attempt sleep. Several hours later, he awoke to the sound of a boy pumping water and decided to start walking again. He found himself back where he hit the ground and hid the parachute. He made the right move because he stumbled upon a friendly stranger while walking across a bicycle path. He whistled to get the man’s attention, asking him in French if he spoke that language. The man shook his head, no. Antanovich then asked him if he spoke English, and again, the man shook his head, no. Antanovich pulled out a pocketbook that was part of his survival kit and designed to translate English phrases into the German language. He used it to inform the stranger that he was hungry, and in exchange, was given a handful of sugar. He also learned he was near Rheine, Germany, after showing the stranger one of the maps from the gear he carried. He was forty miles west of his B-24’s target and twenty miles east of Germany’s border with Holland. The stranger, who turned out to be a Prussian, then flapped his arms in the air as a signal that he understood Antanovich was an airman. The man then pointed Antanovich in the direction of German-held Holland. Antanovich set his compass and walked the remainder of the day and well into the night. Tired and weary after nightfall, he decided to make a bed of pine needles under a tall pine tree, where he slept his first night in Germany. Antanovich was unarmed. He understood that German troops were killing American soldiers on sight because the country was quickly depleting it resources. The Germans barely had enough supplies to care for their own soldiers. He had no idea just how much danger he was facing on his first full day in enemy territory. That same day, one of Hitler’s shadow men, the Reichsleiter Martin Bormann, approved criminal combat methods under a German lynch law. By doing so, Bormann gave his seal of approval to mob justice, instructing German civilians to kill any Allied soldiers they encountered. The next morning, Antanovich came upon railroad tracks and decided to follow them straight toward Holland. That could have been seen as a mistake, as well, because German soldiers were guarding the rail lines. He ducked for cover into the woods upon spotting a man in the distance. That was when he stumbled upon a man and woman milking cows, a couple who helped him to reach safer quarters. The couple gave him a sandwich; his only food in two days. They took him to to a house and introduced him to an English-speaking woman. The woman made a telephone call before escorting him by bicycle to a crossroads to meet another contact. His survival kit also contained silk maps of Holland, France, Spain, and Belgium, as well as three cigarettes. He had been advised to hold on to his belongings. But instead, he gave everything away to those who helped him along his way, except the maps of Holland and Belgium. He even shed his Army Air Force uniform for civilian clothes as a disguise after reaching the underground. His journey eventually took him to the home of Otto and Elisabeth Montagne on the outskirts of Hengelo, Holland. They were among many anti-Nazi couples in that area who secretly shielded Allied soldiers who became separated from their units. Their visitors usually stayed in their home for three or four days until plans were made to return them to England, through France, Spain, and Portugal. Spain temporarily held such MIAs as illegal immigrants before sending them to Portugal and England, Antanovich was told. That escape route, however, was closed after Allied forces stormed Normandy, beginning June 6, 1944, in what became the largest amphibious invasion in history. Antanovich’s parents, Alex and Mary, received word on June 16, 1944, from the War Department that their son was missing in action. 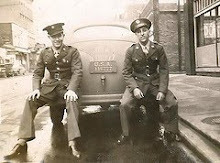 His younger brother, John, was part of an Army Air Force B-17 flight crew serving in the United States. During his time in Holland, Antanovich was hidden in 16 different houses; some for a few hours and others for a month or two. He found himself sandwiched under trapdoors on occasions when German troops searched from house to house, looking for railroad workers to help them reopen supply routes. The Montagnes shared their home with him and three other soldiers for seven months. Mrs. Montagne provided them with clothing from a nearby textile factory, giving them identical dark blue shirts with vertical stripes to identify them to others involved in the antiwar movement. The men even wore wooden shoes and distinguishing hairstyles and mustaches to appear as local residents. Mrs. Montagne often walked with a cart great distances to gather enough food to feed her guests. Food was being rationed, and each house was permitted to use electric lights for one hour a day. Two rabbits from the barn provided dinner for Christmas, a meal that also included cheese crackers and pudding. Antanovich and his companions lived out their long days in boredom, either reading, holding conversations, or learning to speak Dutch. They sometimes occupied their time by playing games of Battleship, using scraps of numbered paper as game pieces, or singing songs around a piano. The Dutch liberation effort, meanwhile, began to intensify by March 1945. Resistance fighters ambushed Nazi General Hans Ratter on March 6, 1945, and more than one hundred Dutchmen were killed in retribution two days later. Antanovich spent that month hiding in a hut in the woods with an armed member of the Canadian Royal Air Force. Hitler’s army was under attack from all fronts. “You could hear the gunfire getting close,” Antanovich said. By the end of the month, Allied forces were racing across collapsed German defenses. On April 1, 1945, they had German troops surrounded in the Ruhr basin, while British troops rolled into Hengelo that same day. Antanovich was rescued by members of the Welsh Guard after walking arm-in-arm to freedom with a young Dutch woman. He was taken to the Guard’s headquarters in Brussels before being sent to a U.S. military facility in Paris, France. He was later returned to England to be identified by members of his bombing group, only to find all of his possessions gone. To his relief, he was told the other members of his air crew had survived German prison camps. On April 24, 1945, his mother was told by the military that he was returned to active duty and being rotated back to the United States. Following the war, Antanovich went home to rural Washington County and married the former Betty Porter. The couple had two sons, Alex and David, who died in childhood, and a daughter, Yvonne. He worked as a coal miner in Beth-Energy Corporation’s Cokeburg Mine, from which he retired in 1985 after working in the coalfields for twenty-four years. He said it was amazing to be part of such a great generation, one that witnessed serious hardships and major triumphs. Antanovich also began attending church after returning home from the war. He said those words offered him the best explanation for his surviving such a dangerous, incredible experience during the war. The Vietnam Wall, "It affects you." In honor of Veterans Day tomorrow, let's revisit a story from 2002 in the Observer-Reporter when the Vietnam Veterans Memorial marked its 20th birthday. 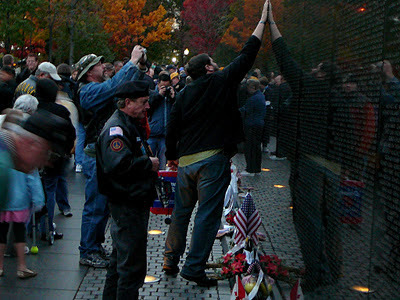 WASHINGTON, D.C. – An older man focuses on the name of a fallen soldier on the sprawling Vietnam Veterans Memorial and his lower lip quivers. He begins to cry and disappears into a mass of tourists passing the somber, black granite honor roll otherwise known as "The Wall" in the nation's capital. "People break down all the time," National Park Service volunteer Allen McCabe said last weekend, when the crowds here begin to increase in size each year as Memorial Day approaches. "I'm still in awe of the emotion here, how tough it is for the vets to come to grips," said McCabe, 47, who wasn't old enough during the Vietnam War to chance being drafted for service. This memorial seems to evoke as many different reactions as the number of names it contains, said park ranger Sonya Berger, who was born a year before Saigon fell in 1975 and 16 years after the first American died in Vietnam. "There are a lot of different images," Berger said. Some visitors, she said, feel like they are descending into a tomb as they walk down the slight hill and past the seemingly endless list of names of those who were killed or missing in action. The back of the highly polished granite is buried in the earth; a possible explanation for the impression that this is a graveyard. "It's one of the quietest spots," Berger said, noting that the city's hectic Constitution Avenue is less than a block away, but no one can hear the traffic. Still, it takes some Vietnam veterans three or four years to take the short walk from the street to the memorial and its 140, side-by-side panels, she said. But these days, the place has gone from a grim reminder of the United States' only military defeat to a place for healing, she added. When the honor roll was new in 1982, it drew first-time visitors who showed "a lot of raw emotion," Berger said. Since then, it seems to have lost some of its reverence, she said, as the generation that came of age during this war is now finding "some sort of closure." Many of the 4.5 million visitors who are now drawn to the site each year were born after the war ended. Some schoolchildren giggle along its narrow walkway and ask the obvious questions: "How many names are on the wall?" and "How do you find someone's name?" Park rangers politely say the wall lists 58,235 names, which also can be found in location directories the size of big-city telephone books at both entrances. But politeness isn't always the norm at what also has become the stage for political statements, even though its artist, Maya Ying Lin, was told not to make any in her design. Berger said in the weeks before President Bush led the nation March 19 into the Iraq war, the memorial drew both anti- and pro-war demonstrators. "It was probably my most interesting experience here," Berger said. Those who opposed fighting viewed the huge number of names on the wall as an argument to avoid another war, she said. At the same time, pro-war activists saw the honor roll as a source of military pride and heroism. "It's still incredibly political," Berger said. Other visitors, meanwhile, are haunted by the sight of a mirror image of themselves when they look between the spaces separating the names. Jeanne Svikhart of Washington, D.C., said when she sees herself in the wall, it causes her to relive the past. "You don't want to go there," she said. "The power of the names. It personalizes all the individuals. It affects you." Her companion, Kathy Potter of California, said she, too, looks at the honor roll "sort of not wanting to see myself." "It's just very moving, said Potter, formerly of Pittsburgh. "Look at all these names. War is hell," she said before leaving. A short distance from where the women pause, a group of U.S. Military Academy alumni places a wreath in memory of a classmate, Robert E. Olson of Wheeling, W.Va., who was killed in South Vietnam in 1970 when he was 19. An unknown visitor earlier left a stack of five dimes nearby along the outer edge of the sidewalk on this rainy Sunday morning. "Those dimes meant something to the guys who were over there," said William Miller, 69, a Vietnam veteran from Denver, Colo., who was with the West Point graduates. "People are in a difficult situation (in war), in close combat out of the area, and they build bonds," Miller said. Later in the day, another stranger places a bracelet once worn to honor those missing in action, broken in two pieces, over a sealed envelope in the small trough along the base of the memorial. In all, nearly 25,000 keepsakes have been dropped off here in the past two decades, some before it even took shape. A Vietnam veteran tossed his Purple Heart into wet concrete as it was being poured into the foundation, according to an exhibit at the Smithsonian Institution's Museum of Natural History. Others have left such items as a American nurse's white uniform worn in the war, a full-size Harley-Davidson motorcycle with a map of Vietnam sewn into its seat and a miniature replica of a bamboo prisoner-of-war cage, with mirror shards glued to its floor. Park employees rarely see anyone leaving these tokens, as no one lingers in this sad place, said ranger Doug Demmon. "I never see him, but one guy always brings barbed-wire wreaths," Demmon said. He said he will walk away for less than five minutes only to return to find dozens of things that were not there when he left. One day, he said he was convinced he never took his eyes off the place but missed a person leave behind something highly unusual: an ancient Native American headdress. It was placed in an odd pattern beside a dehydrated cat and bird and mice bones before its bearer disappeared in the crowd. My story about old-man candy began with a somewhat-spoiled 20-something female who once sat beside me in the newsroom. It was Halloween season. I noticed bags of Goetze’s Caramel Creams in a convenience store and they reminded me of treats people tossed me along the Halloween parade route when I was a kid in Charleroi, Pa. With sweet memories of childhood innocence floating in my head, I decided to buy a bag of the confections and share it with my coworkers at the Observer-Reporter newspaper in Washington, Pa.
“Don’t be bringing us old-man candy,” my young podmate said about five years ago as I placed the bag in the lazy Susan snack tray that had become the centerpiece of our gathering of four desks. Basically, it’s anything people might find in the candy dish at their grandparents’ house, she replied. 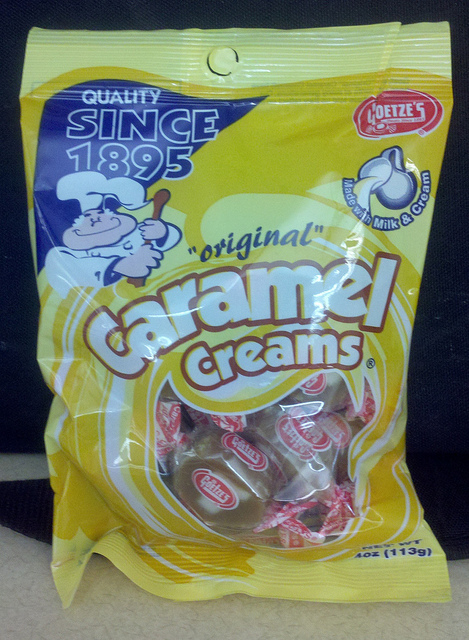 I had just crossed into my 50s and had to admit the caramel creams dating to 1895 were over the hill. I was surrounded by much-younger colleagues, who have been accustomed to many, many junk food choices, items including the magnificant Sour Patch EXTREME Soft & Chewy Candy. This guy grew up on Pixie Dust, red licorice and those gross papery flying saucers filled with colored sugar pellets. 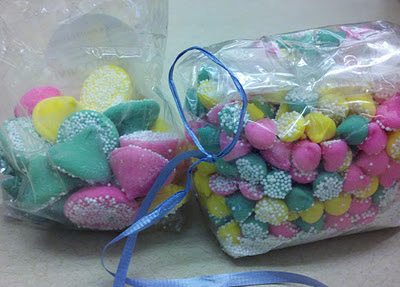 However, for the record, the photos I have been posting of old-fart candy on Facebook have generated many comments from people who either love or hate the stuff. Those posts seem to have touched a nerve. “Really??? Old lady candy??? I have those in my pantry right now. 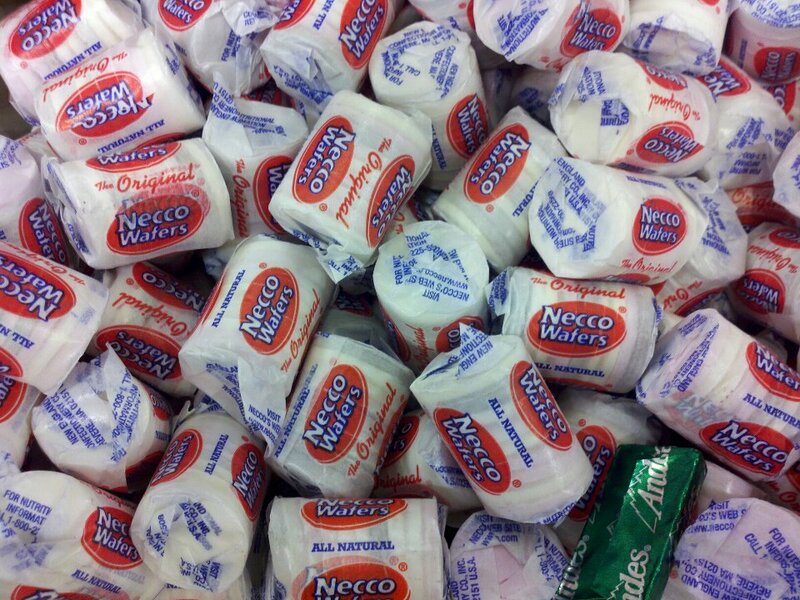 My kids and I LOVE those things,” commented a mother in her 30s under a photo of pastel pink and green mints produced Gene & Boots Candies. Sorry Facebook, but I thought I smelled Jasmine perfume as I put that candy on the counter at work where we typically place free edibles. Some of that same candy was still there the next day, a rare occurrence when there is free office food. under a photo of Necco wafers. It’s sung to the song, “Ol’ Man River,” by Jerome Kern, from the musical Showboat. A new art exhibit could be likened to a traveling fish funeral. The show features the works of 90 artists from the Pittsburgh and Morgantown, W.Va., regions who each painted one species of aquatic life killed in a widespread 2009 fish kill along a stream that straddles the Pennsylvania and West Virginia border. And the exhibit, "Reflections: Homage to Dunkard Creek" is arriving next week at California University of Pennsylvania. 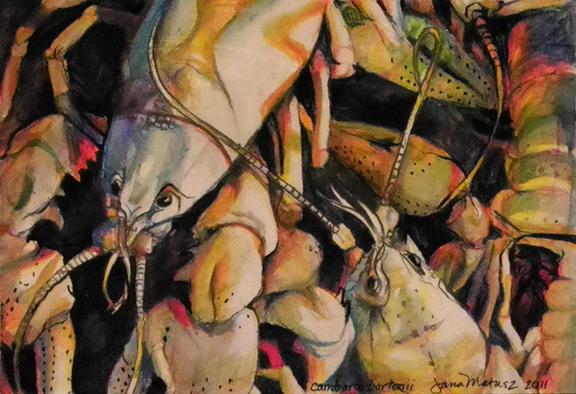 The portraits also feature crayfish, mussels and insects that were placed on the West Virginia Department of Natural Resources list of populations that dropped significantly during the pollution. I'm not going to get into the debate here over to which environmental catastrophe caused the fish kill. Cal U. is among nine sites that will exhibit the show sponsored by the Mountain Institute's Appalachia Program. The university's office of academic affairs will host an opening reception from 5-8 p.m. Nov. 10 in Frich Hall. 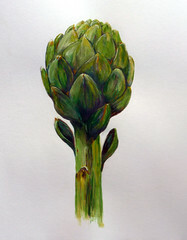 It will begin with a gallery talk by Ann Payne, of Morgantown, a member of the Guild of Natural Science Illustrators and the artist who conceived and organized the project. Curator for the exhibition on campus is Maggy Aston, assistant professor of art and design at Cal U. A work by Jordan Wong, a student of Aston’s, is included in the exhibition. His piece depicts the johnny darter, Etheostoma nigrum, a bottom-feeding freshwater fish. Through a collaboration with the university’s departments of art and design, biological and environmental sciences, and music, the paintings will be viewed in an aquarium-like environment that includes glass display cases holding specimens with a sound track of bird, frog and cricket calls. A large, collaborative mural depicts water, nature and industry in the Mon Valley. The opening reception is free to the public. The exhibit will be on view from 8 a.m.-9 p.m., Mondays through Fridays through Dec. 8 in the lobby of Frich Hall.